Do you find it tough to fall asleep? Music could be the answer to your sleep troubles. Music is a powerful destresser and listening to soothing music can help deal with insomnia and other sleep-related issues. A research suggests that music can aid you in good night sleep (1). When it comes to choosing the best sleep music, classical music tops the list. From babies or seniors, music can help people of all ages to sleep better. Integrate music into your bedtime routine and stick to it. The positive effects of music build over time. The reason why music helps us to fall asleep is not very clear. It may have to do with the relaxing effect of the soothing sounds. Music can slow your heart rate and breathing; it can lower your blood pressure and help your muscles to relax. Soothing and relaxing sleep music also trigger the ‘feel good’ chemicals in our brain, and this helps us relax. These biological changes are similar to what our body goes through when we sleep, and this makes music the best option for preparing us for slumber. A study (2) was conducted on a few young participants who complained of sleep issues. Participants who listened to 45 minutes of relaxing classical or any other kind of music showed a decrease in depressive symptoms. It was concluded that listening to soothing and relaxing music could aid people suffering from sleeping disorders such as insomnia, etc. How to choose the best sleep music? While we often use lullabies to get babies to sleep, the choice of sleep music for adults can be quite varied. Ideally, a good sleep music should have a slow rhythm with about 60 to 80 beats per minute. A slow beat can trigger the sleep hormones to lull you into sleep. Listening to songs that you are familiar with also works well. In plain words, the sleep music should be based on string musical instruments with minimum bass. Choose songs and symphonies that are slow and rhythmic. In many classical songs, the piano is the predominant musical instrument. 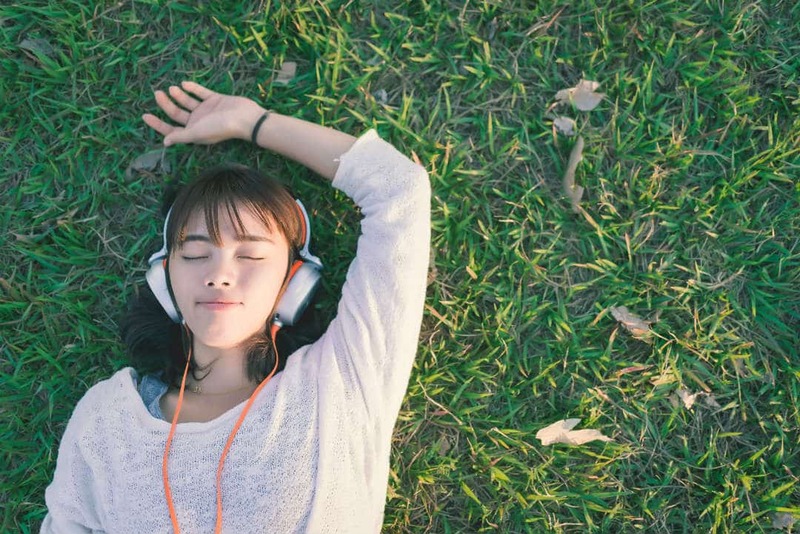 These songs are a great option to help you relax. Stay away from up-tempo songs as these can be quite exhilarating. Listen to these classical melodies from Mozart to help you relax. Contemporary classical music can be soft and soothing and is perfect to help you unwind after a stressful day at work. 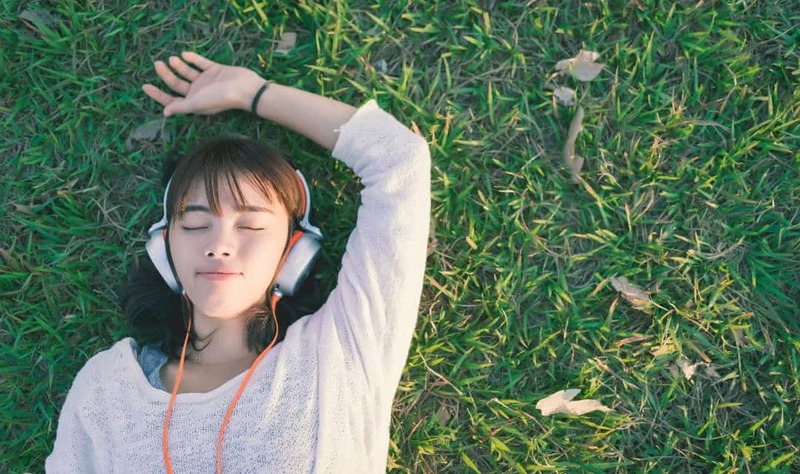 This genre of music has the power to relax you instantly and can help you sleep better. Gymnopedie by French composer Erik Satie is the perfect example of a relaxing and slow tempo music that can help you sleep better. The sound of rain, thunder, and wind, when combined with musical instruments like a harp and wind chimes, can create a soothing atmosphere. According to researchers at Brighton and Sussex Medical School, playing natural sounds affect the bodily systems that control the flight or fright and rest digest autonomic nervous systems. This affects the resting activity of the brain. Listen to these soothing sounds of the forest and a zen waterfall. These tranquil sounds help your body to relax. Meditation music claims to help you connect with your inner peace. It can be a handy useful stress management tool. Relax to the sound of this zen meditation album. This instrumental genre of music is atmospheric, rhythmless repetitive and quite trance-like. It has all the qualities to help you calm down and relax. There is quite a variety of this kind of music available. So, choose one that is pleasing to you and try it. Here’s one good example of relaxing chillout music. World music encompasses different styles of music from across the globe. It includes many forms of folk music from around the world. Search for something soothing and neutral in this genre. Something acoustic can be a good choice. This African melody can help you relax. You may have listened to bedtime stories as a child. Soothing music accompanied by a soft-spoken storyteller can have a similar effect, and it may help you sleep better. Add music to your regular bedtime routine. Put on your headphones as soon as you get into bed. Make sure you direct all your attention to the music and nothing else. How soon can you fall asleep after listening to music? How soon you can fall asleep after listening to soothing music depends on your state of mind. Music can help you relax faster, but you must try to shift your thoughts to something calmer. Can music change your brain? It can not change your brain but can help improve your perspective on things. It can help you see situations from a new and different viewpoint. How does music help infants? Lullabies help babies sleep faster. In fact, all soothing sounds have the same effect on babies. Where can I find good sleep music? YouTube is the best place to find excellent sleep music. It has many channels dedicated to relaxing melodies. Also, there are several free music apps available where you can find good sleep music. Music is a fabulous sleep aid. It helps relax your mind and your muscles. And that best part is that unlike other sleep aids, it has no side effects. So, listen to your favourite genre of sleep music and drift off to a relaxing slumber.